The comfort and budget of small group programming in your home, at the gym, on vacation, or wherever you are. 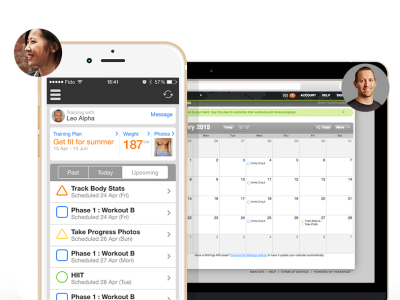 You'll have access to all the great features of the Trainerize App, with nutrition tracking, videos, and community and trainer support. This plan is perfect for the gym member who needs to know what to do there! Group Master Program design for general fitness with safe, effective strength & cardio training. Delivered Monthly. To participate in the Group Plan, clients must have access to a gym or a variety of at-home fitness equipment such as dumbbells, barbells, resistance band, stability ball, medicine ball, and a bench or mat. Train at your gym, at your home, or wherever you happen to be. Using the Trainerize App, we'll create a custom training plan, with exercise videos, nutrition tracking, community/trainer support, & more. Train at your gym, at your home, or wherever you happen to be PLUS come in or call for a check in session once a month. 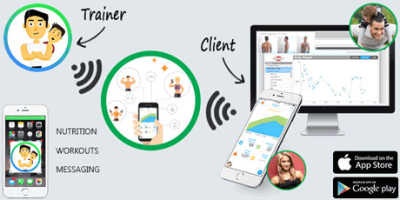 Using the Trainerize App, we'll create a custom training plan, with exercise videos, nutrition tracking, community/trainer support, & more. Custom program designed for your goals and your workout space. In-person session 1x/month, beginning as the program starts OR scheduled monthly 30-minute phone call or online chat if not local.